Is a Mauser in your future? Soldiers returning home from WWII brought with them many rifles that found their way into the sporting mainstream and popularized the 8×57 cartridge. I do not load for either of them but do load for the 6.5×57, a common rechamber on the Japanese round, and the 8mm-06, the most common early rechamber of the Mauser, so I consulted a couple of friends on their favorite loads for each of the originals. Our discussions taught me a thing or two that may have interest for the reader. When WWII was over, returning vets brought home with them many rifles of the conquered nations and these found their way into the sporting mainstream, as evidenced by the American ammunition companies bringing out soft-point loads for the captured rifles. In the 1960s, most ammunition retailers, if they had any inventory at all, had right up there with the .30-06 and .270 fodder, boxes of 8×57 Mauser ammo. The 8×57 in the .323” bore is a fine killer on deer and elk, closely comparable to the well-known .30-06 in power and trajectory, the 1934 military round driving a 197-grain full metal jacket bullet in the 2600 fps neighborhood. Using currently available modern .323” diameter soft point spitzer bullets of 125, 150, 170, 175, 180, 200 and 220 grains, the 8×57 can offer the handloader a wide variety of options for game and target shooting. Most of the 8mm Mauser handloaders I know started with the 150-grain bullet at about 2850 fps for their whitetail hunting, using 46 grains of IMR 4064 and a standard large rifle primer. While in Alaska in 1999 I met a middle-aged fellow from Denmark that carried a wonderful Oberndorf sporter chambered for the 8×57, in which he used the 200-grain Nosler Partition and 45 grains of IMR4064 at about 2600 fps to take his caribou. He told me that he had used the same load to take European moose and brown bear. Closer to home my old friend Eric Yates used the 125-grain Hornady and 53 grains of H4895 in his 98K short rifle on everything, from groundhogs to deer. This load, which I have fired in his rifle, was very pleasant to shoot and very accurate in the sporterized gun and developed around 3100 fps in the cut-off 22-inch military barrel. A good reloading manual will give you a starting point to work on loads for you classic gun. It is best to start light and work your way up to find the best load. Never embraced by the American shooting public because of the overbearing popularity of the .30-06, the 8×57 is a very usable and efficient cartridge that deserves better than it got. In 2004 Remington manufactured what I believe is the only American rifle ever factory chambered for the 8×57, the 700 Classic limited edition. I have heard that a few Model 54 Winchester guns were chambered for the Mauser round but I have never seen one. I’d be interested in hearing about them if you readers know of any, so send me an email! Using the Nosler 100-grain Partition and a listed maximum load of 37 grains of H4895, you’ll get 2700 fps through a 22-inch barrel. This is a very accurate load used by two friends in cut-off and sporterized military rifles, and a deadly combination on our Virginia whitetails (as with any of these suggested loads, please back off five grains to start your load development and work up carefully from there). For a bit more penetration and striking energy the use of 38 grains of H380 with the 140-grain Nosler Partition can be a very effective short-range load (200 yards and less) for black bear and elk in the timber, the light recoil and low noise level coupled with superb accuracy making this a very “shootable” round. In a light, short mountain rifle the 6.5×50 can be a neat, efficient short to medium range cartridge. While more powerful loadings such as the .260 Remington and the 6.5×55 out-perform it in terms of velocity and energy, I wouldn’t throw away a solid Arisaka just because it’s a bit on the slow side. The 6.5×50 may be the most pleasant rifle I’ve ever fired above .22 centerfire from the bench. Trusted by Shooters for More Than 40 Years. This article appeared in the April 12, 2010 issue of Gun Digest the Magazine. Click here to learn more. Click here to load up on a subscription. The last time I checked Norma was still putting 6.5×50 ammo on the American market and brass is also available from several sources. 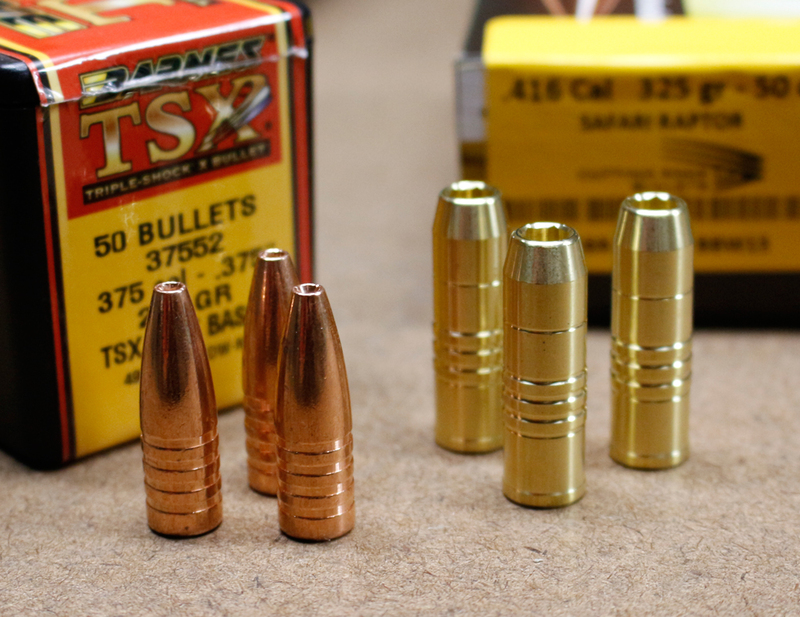 There are at least eight makes of 8×57 on the market, in various bullet weights, and if you can’t find brass you can always run .30-06 cases through a 8×57 full-length size die and trim them back to 2.240”. To learn more about great old cartridges, check out Cartridges of the World, please visit www.gundigeststore.com. Walt Hampton is a retired wildlife biologist and gunsmith and has been writing for outdoor publications since 1990. Send your questions to him at: [email protected] or write him at: 341 Horse Ford Lane, Independence, VA 24348. For a signed, first edition copy of Walt's book, Tales From Buck Mountain, send $20 to the address above. Be sure to include your mailing address. All proceeds from his book sales now go to the Wounded Warrior Project.